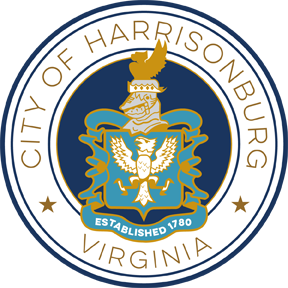 The City of Harrisonburg Information Technology (IT) Department partners with city departments in leveraging technology to effectively serve customers. Maintain a stable and secure infrastructure. Provide leadership in evaluation and implementation of new technology solutions. 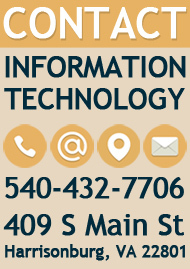 Provide an effective support framework to assist users in employing technology effectively and efficiently. Provide citizens and users convenient access to appropriate information and services through technology. Guide technology planning City-wide with forward-looking vision. Collaborate with departments to make sound decisions regarding the use of technology. How Do I View This Site in Another Language? How Do I Report a Problem with this Site?